The rugged AV23 Smark Trak Float Level Switch System with Compact Level Controller (CLC) from Flowline is an all round solution for unmanned for filling and emptying of tanks between two adjustable switch level points. A 10A latching compact relay controller for pump or valve actuation is also a feature in this Smart Trak model. The PP level switch package is selected for day tank, skid or machine, cooling tower, waste sump and process tank applications, requiring detection and control. 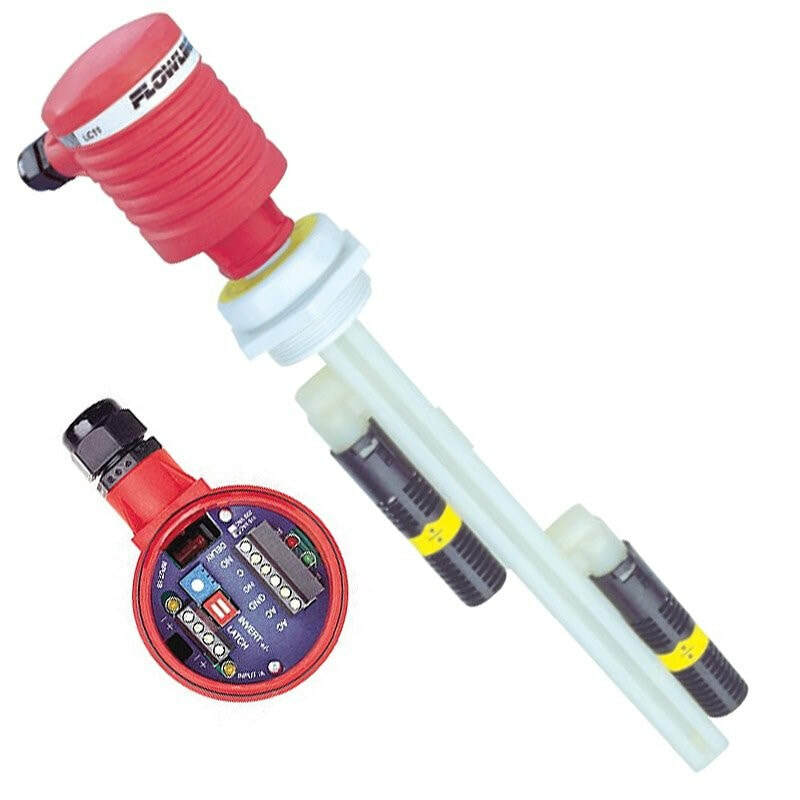 This product option from Flowline includes a vibrating level switch, with a strobe and 2"G.
This Float Level Switch package provides a complete solution for automatic filling or emptying of a tank between two adjustable level switch points with a 10A latching compact relay controller for pump or valve actuation.